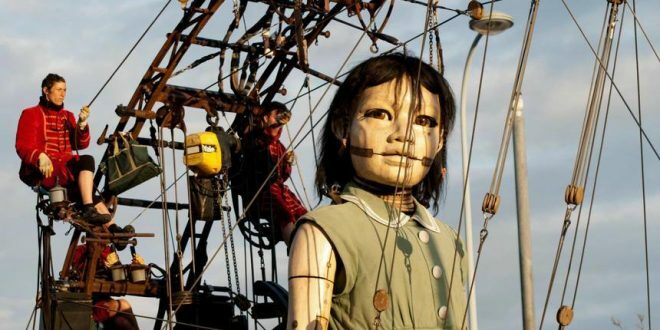 French theatre group Royal de Luxe are bringing their fabulous puppets back to Liverpool for a final time this October, completing a trilogy of storytelling that started right back in 2012 with a four-day Giants Liverpool extravaganza. From Thursday 4 October to Sunday 7 October, some of the city’s favourite characters from previous visits will be strolling around Merseyside, discovering the sights and sounds of the city in a celebratory long weekend. What’s happening with the Giants Liverpool this year? In previous years, the giants have awed us with magnificent stories including the ‘Sea Odyssey’ visit, part of the centenary of the Titanic sinking in 2012 and, four years ago, a stop-over in Liverpool as part of the commemorations of the first world war. This year, the theme is a little more uplifting. ‘Liverpool’s Dream’ will celebrate 10 years since Liverpool was named European Capital of Culture, a decade which has seen an arts and culture revolution grip the city, kick-starting a new chapter of Liverpool history. And although not all the details of the programme have been released, organisers have said we’ll definitely see some familiar faces returning to say goodbye, as well as an exciting new one. Artistic director for Royal de Luxe, Jean-Luc Coucoult, recently announced that alongside the Big Giant (who appeared as a Diver when the giants came to Liverpool in 2012) and the dog Xolo, the Little Boy Giant, one of the first puppets the French company made, will be joining this year’s extravaganza, in his first ever trip to Merseyside. Where can I see the Giants Liverpool? 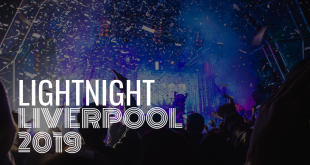 You’ll be able to catch plenty of Giant action across Liverpool, with key locations including the waterfront, Princes Park in South Liverpool and areas of the Georgian Quarter and business district. A number of ‘static’ sites have been pinpointed for stationary shows across the weekend, as well as up to two walking routes per day. On Sunday, all the routes will collide for a spectacular waterfront finale. And for their last visit, the incredible visitors will even be venturing to the other side of the Mersey, with some exciting events happening around New Brighton on Friday 5 October. 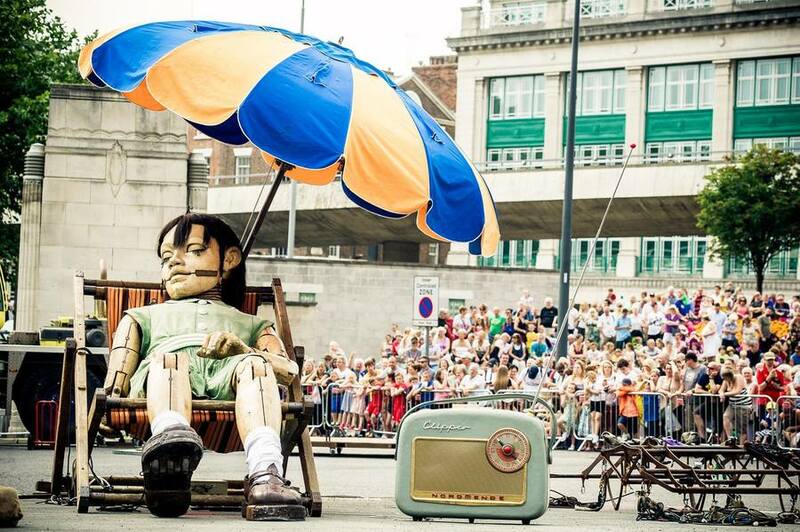 A Giant will be waking up on St George’s Hall Plateau and taking a stroll to Lime Street, Renshaw Street, across St Luke’s Place and onto Berry Street, Upper Duke Street, Catharine Street, Upper and Parliament Street. They’ll then be heading down Princes Road, Princes Gate West, Devonshire Road and into Princes Park where the well-walked visitor will sit down for a siesta. Waking from their slumber, the giant will walk back down Devonshire Road, Princes Gate West, and Princes Road before crossing Upper Parliament Street and walking down Catharine Street, Canning Street, Upper Duke Street, Duke Street, Paradise Street and Liver Street. They’ll then be turning into The Strand onto Queens Wharf for an evening sleep. Head to the lighthouse at Fort Perch Rock to catch the Wirral’s first ever Giant visitor waking up. They’ll be taking a stroll along Marine Promenade and onto the Coastal Drive towards Kings Parade. 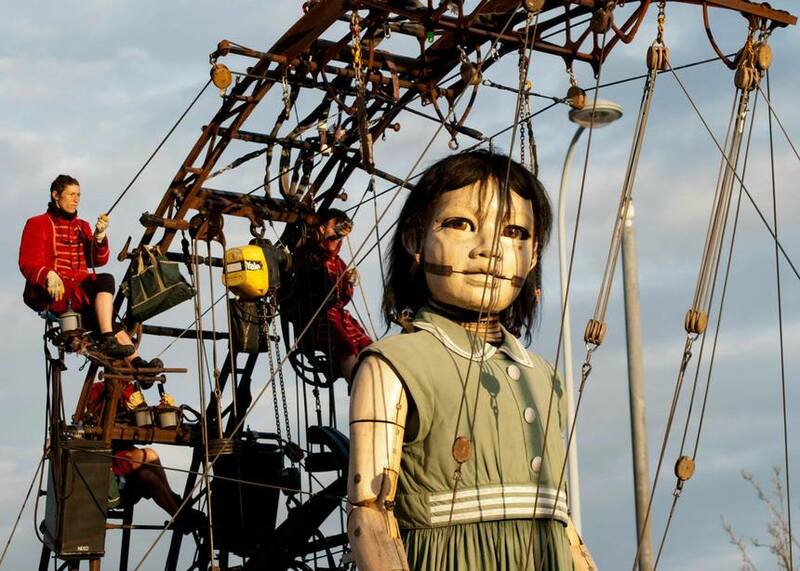 After a siesta at Kings Parade, the Wirral Giant will be waking up at The Ships and heading down along Kings Parade, Marine Promenade, Tower Promenade and Magazines Promenade. On Saturday, there will be two routes winding their way through Liverpool. The first Giant will start its day at Queens Wharf, walking down Wapping, The Strand, Paradise Street, Hanover Street, Church Street, Whitechapel and Stanley Street. It will then cross Victoria Street, before heading down Dale Street, Castle Street, Derby Square and James Street to Mann Island. The Giant will continue its city centre adventures walking down Canada Boulevard, Water Street and The Strand before turning round and heading to George’s Dock Gates where all the giants in the city are set to meet before all walking down New Quay, Bath Street, Waterloo Road and into Clarence Dock for an evening sleep. The second giant route will start at Canning Dock on Saturday, heading onto Salthouse Quay, The Strand, James Street, Castle Street, Dale Street and Crosshall Street. Then it will head down Whitechapel, St John’s Lane, St George’s Place, Lime Street, Elliot Street, Great Charlotte Street, Ranelagh Street, Church Street, Lord Street and into Derby Square, where it will take its daily siesta. 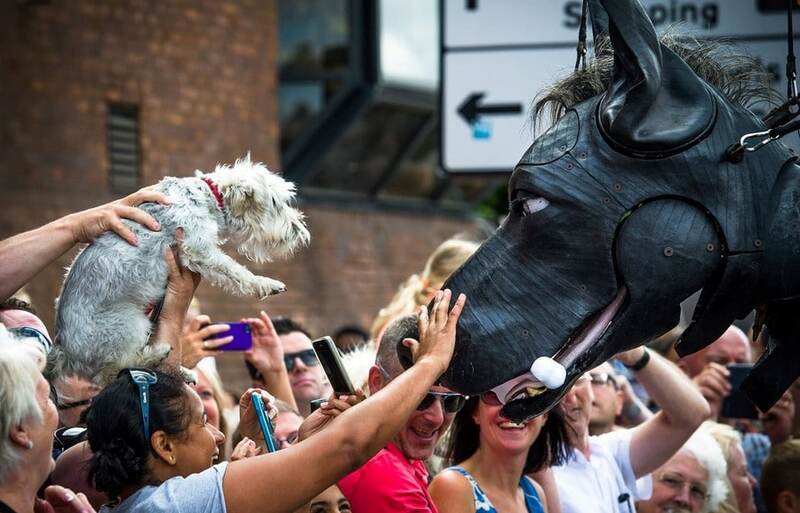 The second route will continue in the afternoon, going down Castle Street, Dale Street, Moorfields, Tithebarn Street, Chapel Street and into George’s Dock Gates, where all the Giants will meet up and head down to Clarence Dock. 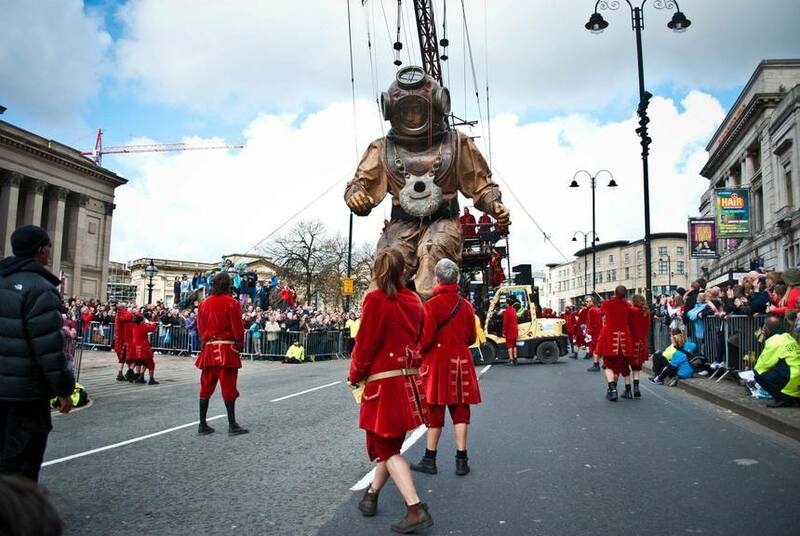 For the Sunday Finale, all the giants will walk together around the city centre. All the giants will leave Clarence Dock via King Edward Street and head down onto the Strand. One giant will depart via The Docks, while the remaining chraacters will continue along The Strand and onto Sefton Street where they’ll stop for their final siesta. Leaving Sefton Street, The Giants will parade back down to Canning Dock, biding farewell to the city of Liverpool for the final time. Where’s the best places to watch the Giants Liverpool? On Friday, the best bars and restaurants to dine and giant-watch will be on Berry Street, Upper Duke Street and the area around the Hanover Street / Duke Street crossing. 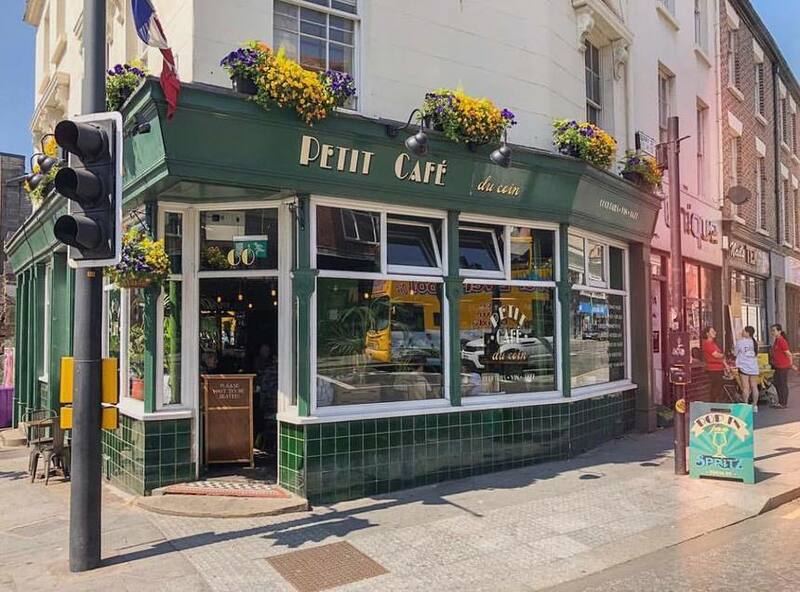 Try Neon Jamon, with its big glass fronting and delicious sharing tapas or Petit Café du Coin for incredible French wines and meat and cheese boards on Berry Street. Sound on Upper Duke Street is the perfect place to grab an after-work pint as the Giants head back down the road on their first evening in the city. 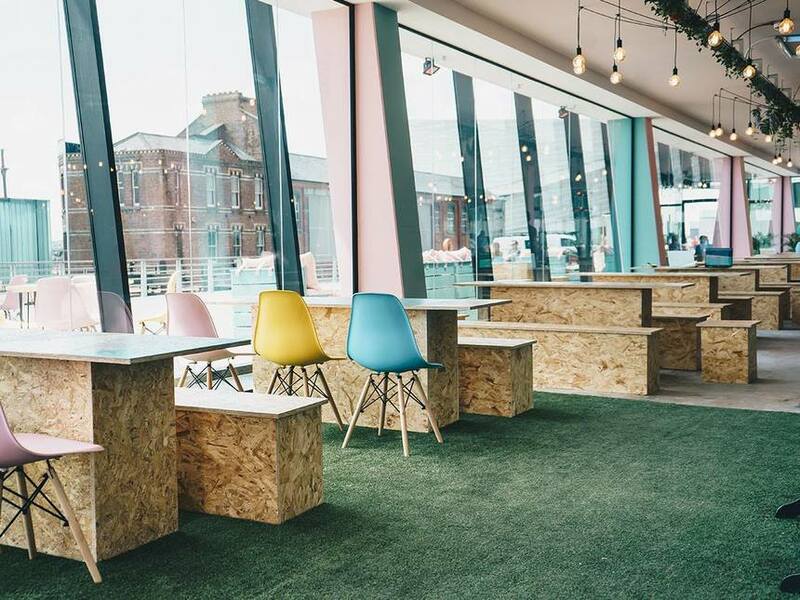 And Salt House Tapas, with its outdoor seating area and big glass windows, will be perfectly placed on the cross-roads of Hanover, Paradise and Duke Streets to enjoy some early-evening tapas while the first of Liverpool’s giant routes winds past the windows. On Saturday, your best bet for spotting some Giants will be on the waterfront and around Mann Island – luckily there’s a couple of perfectly placed venues that look out over the main Liverpool routes. The Carpathia Rooftop Restaurant and Bar at 30 James Street is an ideal location to spend the day. In the morning, both Liverpool Giant routes will be walking past their rooftop terrace, making it the ultimate viewpoint in the city. The terrace has spectacular views of the Albert Dock and Liverpool’s skyline as well, so even when the Giants aren’t striding past, you’ll still have something to look at. In the afternoon, the Giants will be walking past 30 James Street again, on The Strand side of the Carpathia terrace. Why not spend the day on the terrace, enjoying afternoon tea, lunch or even some a cocktail from their bespoke drinks menu? Other great vantage points for the afternoon’s route include Oh Me Oh My on the Strand with their eclectic collection of cocktails on the rooftop garden, and the food and drink hall Dockside Dining Club at Mann Island. On Sunday, all the best vantage points will be down The Strand again, as the Giants complete their parade finale down the Waterfront. The Carpathia Rooftop Restaurant and Bar at 30 James Street is perfectly placed in the middle of all the action, as are Oh Me Oh My and Dockside Dining Club. The traditional Baltic Fleet pub further down Wapping will also get a visit from the Giants. 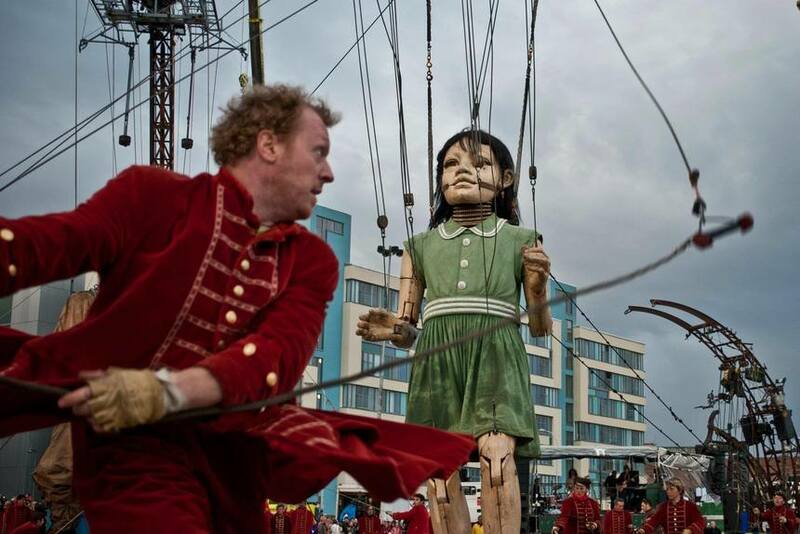 We can’t wait for the Giants to Return to Liverpool once more! Our city’s cultural offerings just keeps getting better and better. If you’re a culture-vulture looking for some more great happenings in the city, check out our guide on some of the best exhibitions to visit in the city this year. The Giants aren’t the only autumnal events set to take place in Liverpool. This weekend, it’s the fabulous Liverpool Food and Drink Festival which is going to be bigger and better than ever. Not a fan of all the hoo-haa surrounding the giants? Get out of the city with our guide to the best scenic walks and trails near Liverpool. Lucy is a junior copywriter at Signature Living, with an interest in culture and food and drink.